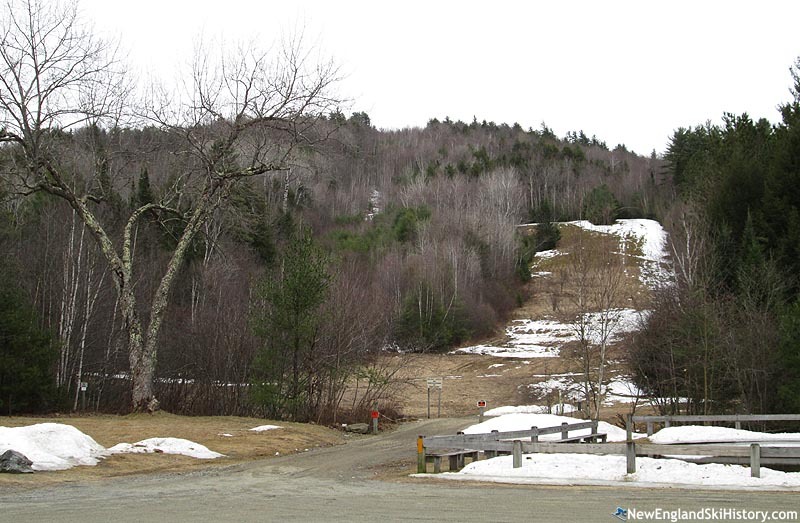 Located just west of the White Mountain National Forest near the Swiftwater section of Haverhill, Monteau operated as a chairlift served ski area for nearly two decades. The Mountain Lakes development dates back to April of 1965, when W. John Dunnan established Town & Country Homes of Massachusetts, Inc. as a New Hampshire corporation. Lots near the recently created Mountain Lake were sold starting around that time. Construction on a ski area in the development may have started in 1972 when a Thiokol double chairlift was installed on a 1,470 foot mountain named Whites Pinnacle. That winter, Town & Country also purchased the Copple Crown development and ski area in Wolfeboro. Swiftwater Valley ski area likely opened in December of 1973, but operated for only seven days that winter due to poor snowfall. The following season, Ski declared the area "practically a virgin" and claimed the trails were only "skied by the ski school, patrolmen and a few passersby." The three trails were relatively tame in terms of pitch, catering to novice and intermediate skiers. Bigger problems were forming in the background, as the development struggled with water supply and financial issues. In 1975, Town & Country Homes filed for bankruptcy. Ski area equipment was reportedly sold at auction in 1976, while the base lodge was sold to the newly formed Mountain Lakes District in 1977. A group of investors formed Monteau Ski Area, Inc. in August of 1978 and purchased Swiftwater Valley ski area, renaming it to Monteau. 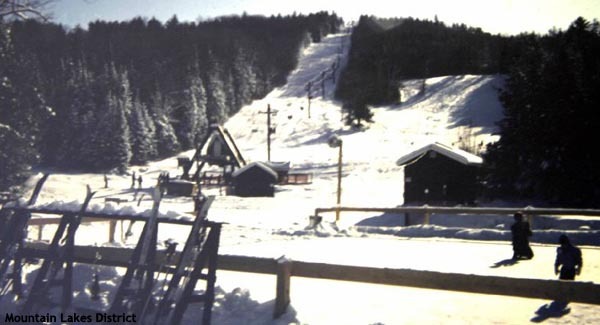 The Mountain Lakes District purchased the ski area property and associated assets (excluding the chairlift, which was apparently leased to the district by the corporation for a period), in December of 1981 and cut two more trails for the 1982-83 season. Snowmaking was installed in 1983 to help keep Monteau operational in winters with poor snowfall, as experienced in the early 1970s and early 1980s. 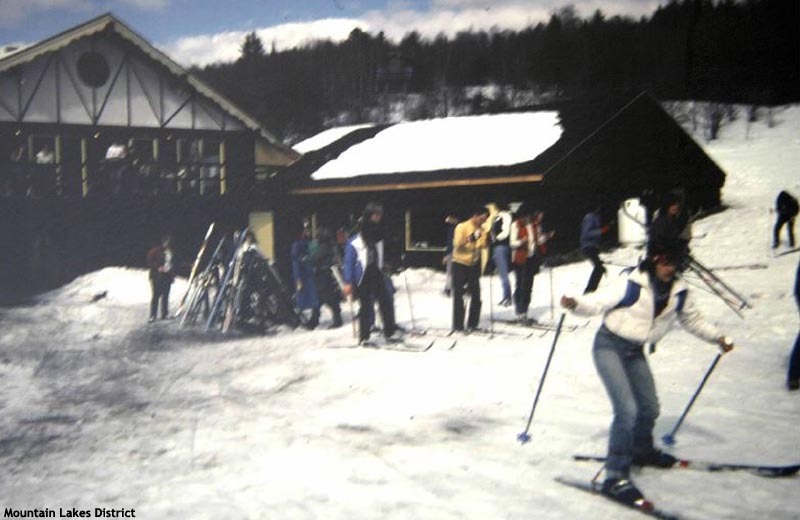 The Mountain Lakes District likely leased the ski area to Steve Schaefer's Monteau Ski Area & Base Lodge entity for the 1989-90 season, however the operator went bankrupt in 1990 and the ski area was shut down. The equipment was subsequently sold and the chairlift removed late in the summer of 1992. The district retained ownership of the land and lodge. Repairs and improvements were made to the lodge in 2002, allowing it to operate for functions and winter sledders and ice skaters. As of 2014, only the lower mountain slope has been kept clear, mainly to allow for sledding. Narrow paths lead up through otherwise overgrown ski trails. Snowmaking equipment appears to have been removed. An old rope tow sits on the side of the slope, while the old maintenance garage remains standing nearby. The Mountain Lakes Master Plan includes the possibility of opening a rope tow serviced ski area in the future. It is not known if or when this may happen, or if it would be open to non-residents. "We owned a vacation log cabin in Benton for 15 years (just 5 minutes from Monteau) Three sons learned how to ski on Monteau (had a local named Jim as instructor)and as a family loved the small mountain! A time and place when you didn't have to worry about stolen skis, crowds, losing the kids, etc - a much gentler time! So sorry when it closed. " "Annemarie(my wife)and I purchased land in 1972, build a vacation log cabin, SpringHampston, and lived there a after I retired from Pratt & Whitney in 1992...many years of enjoyment, exciting times,very involved in the Mountain Lakes Community Association, formation of the Mountain Lakes District part of North Haverhill, helping create the Monteau Ski Area, etc,meeting and 'working' with some GREAT people at Mountain Lakes and Woodsville/North Haverhill/Haverhill. I have hundreds of photos, and many are ones used now. "